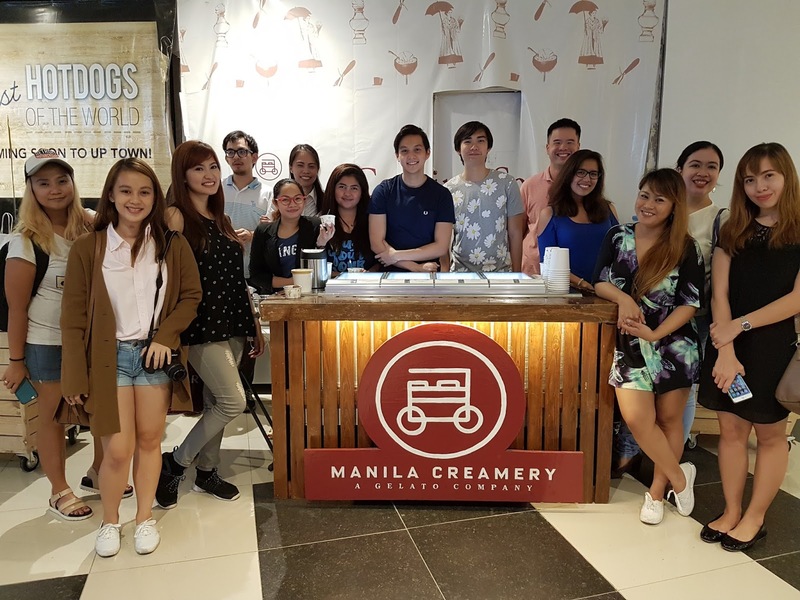 It was a Gelato Gala for the ages as me and the rest of the sexiest blogger group on the planet visited Manila Creamery near the cinemas of UP Town Center. It was actually their last day when we visited them because they are going to open their first branch next month just behind the ice cream stall. 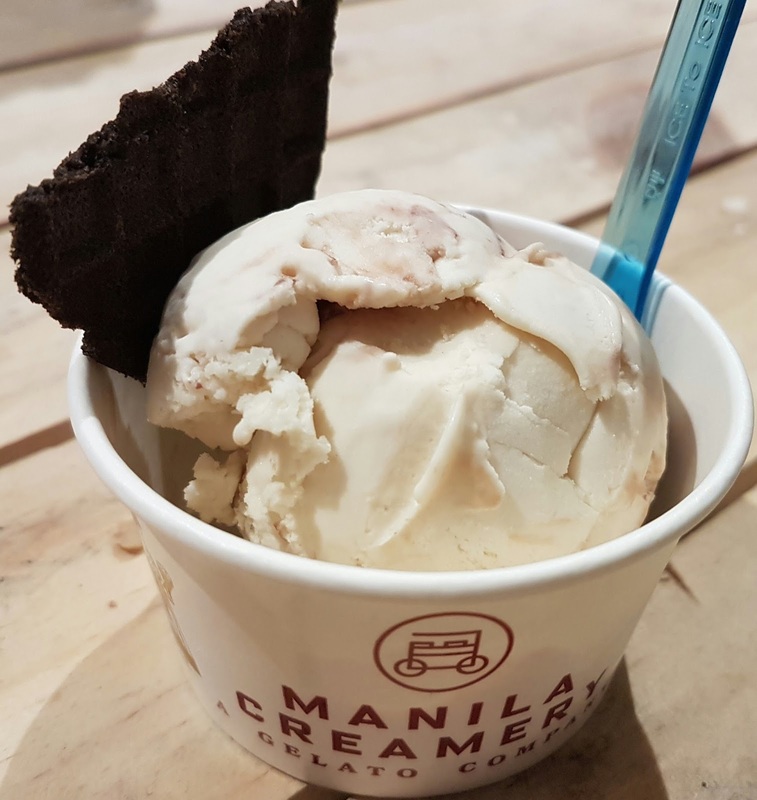 It was no surprise the two boys behind Manila Creamery, Paolo Reyes and Jason Go, came from the same high school as me. Okay, that does not have anything to do with it but it is still worth noting. Go Mango! is Mango gelato with white chocolate covered poprocks. 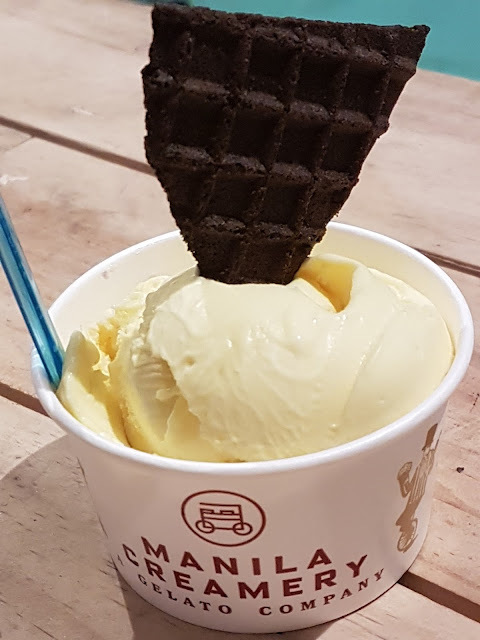 I love Mango ice cream and their version is very creamy. It sure did not take me long before I finished this one and I was already ready for the next flavor. The chocolate covered poprocks only helped matters. Kinder Bueno is Hazelnut Gelato with Milk Chocolate Sauce. It is actually sourced in Italy. It had that special taste that everyone was looking for. It has classic chocolate written all over it. There is no doubt I will be looking for this flavor when I become one of those kids just standing there and staring at their flavors. All of us can't wait for the opening of your 1st branch, Manila Creamery. We will definitely be there!